Silver, burgundy and green fronds similar to Metallicum accented with bright red stems and reddish central veins, wonderful tricolor effect. 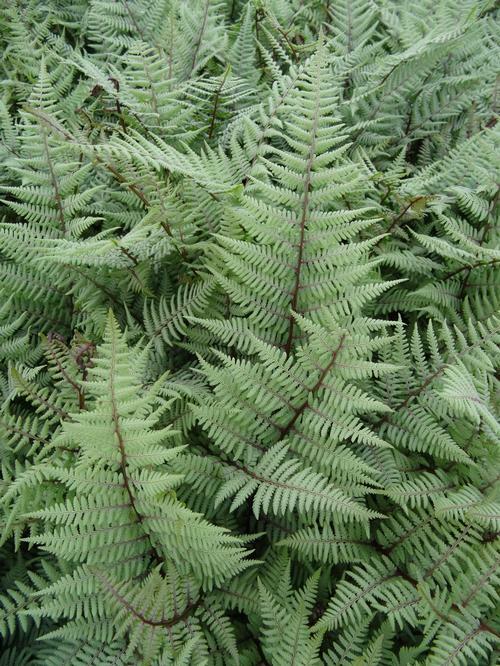 A hybrid of Japanese Painted Fern and Lady Fern, taller and more upright with broad apple-green fronds with frosted gray coloring, a great highlight for the shade garden. 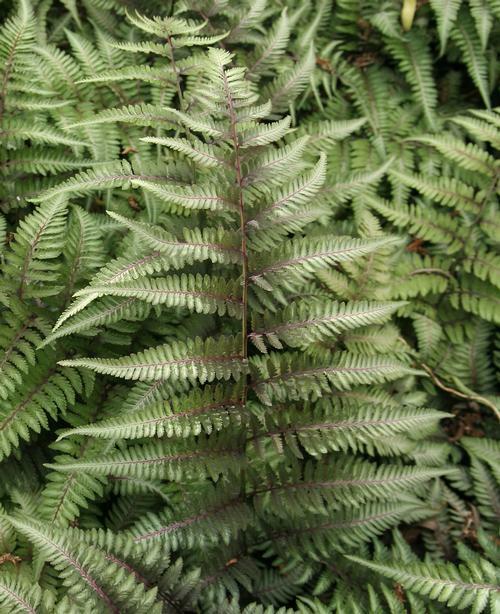 This genus of ferns consists of 180 species and is found throughout the world. This type of fern is the food source for many different kinds of butterflies and will tolerate drier soil than other ferns.